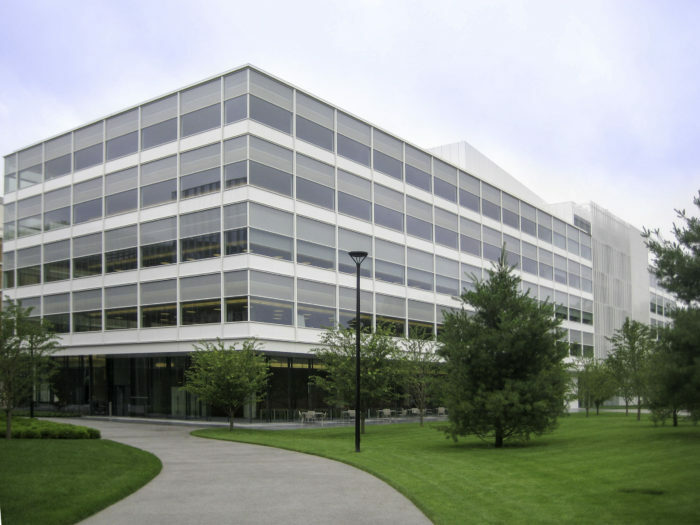 A key component of the 230-acre Novartis campus in East Hanover, New Jersey, Maki and Associates’ oncology-focused research and office building reveals the surrounding landscape to its occupants through a curtain wall unobstructed by perimeter structural columns. 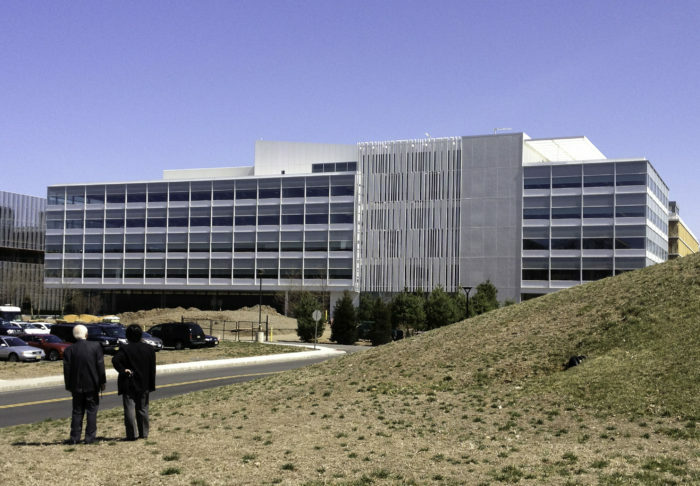 The five-story building features three, two-story “community parks” that connect research teams on various floors; these spaces are granted sweeping views through 14-foot-wide curtain wall modules that, in the absence of exterior columns, drape the building from the rooftop like a true curtain. 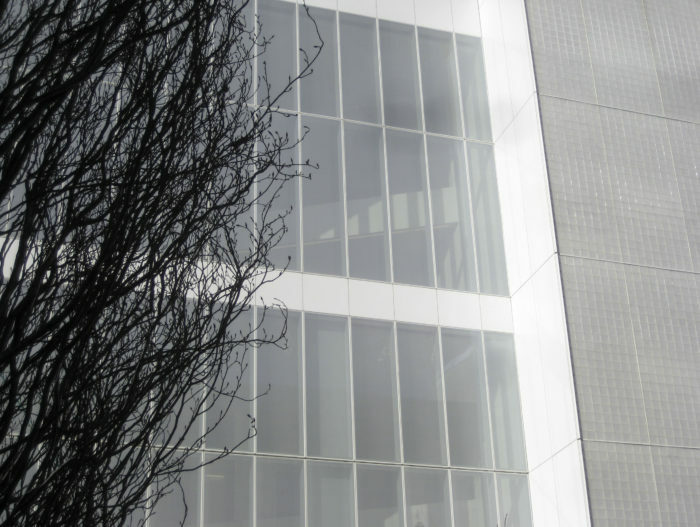 The banded facade features three types of glazed panels: white Neoparies crystallized glass, low-iron (clear) vision glass, and clerestory-height 45-percent ceramic-frit glass above the first floor, providing solar protection and energy savings, as well as giving the exterior a stunning whiteness. 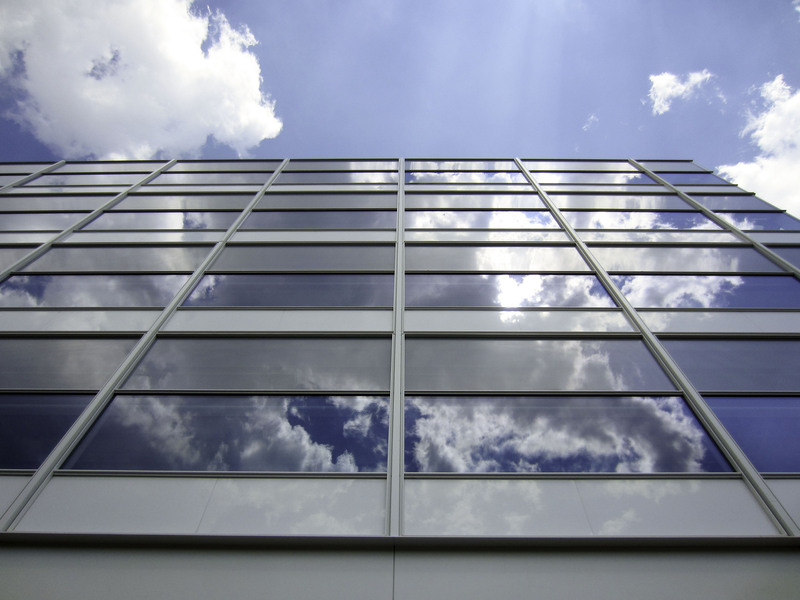 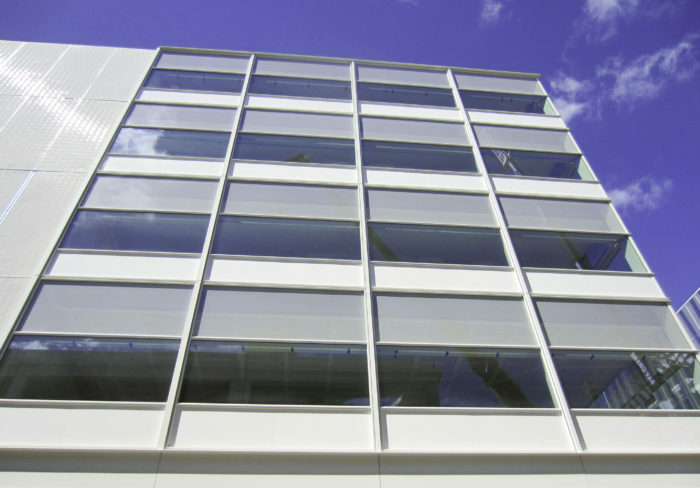 In certain areas, slender, ribbon-like aluminum louvers and glass blocks also contribute to solar control. 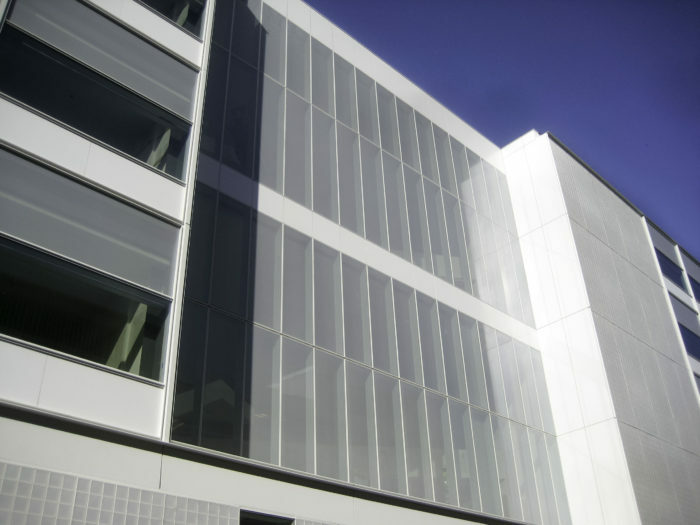 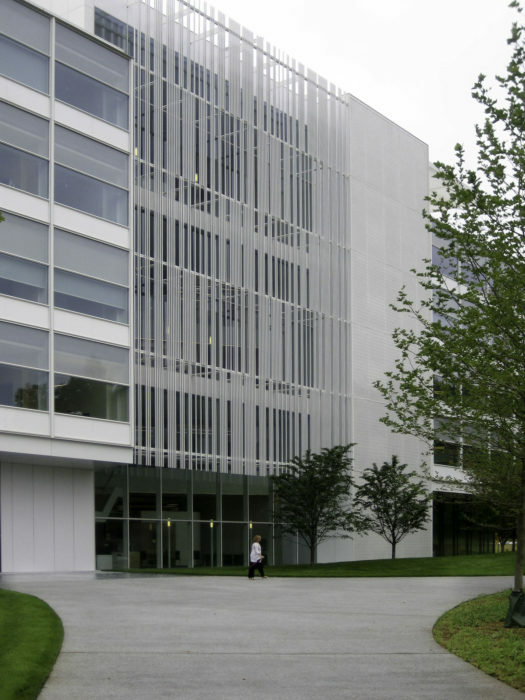 Heintges and the design team used an extensive visual mockup process to develop the slender aluminum profiles of the facade and refine glass selection and the integration of sunshades. 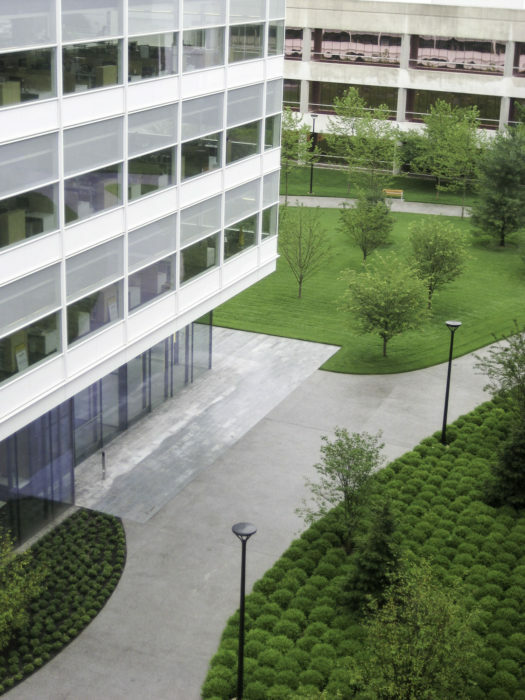 At the ground level, floor-to-ceiling vision glass connects the public spaces inside with a landscape design by Michael Van Valkenburgh.